Firstly, let us consider LOTRO, an established MMO that has some very good selling points along with some not so edifying ones. Legendary Items, weapons you acquire from level 50 onwards, were somewhat confusing when introduced into the game in 2008. Over the past decade the constant revisions, tinkering and attempted rationalisation of the system has left this entire aspect of the game bloated, time consuming and frankly bloody annoying. Last night I identified that I had sufficient relics and shards to manufacture a specific level appropriate gem for my Hunter. It was a moderate upgrade to the existing gem already in place. Let it suffice to say I spent the next half hour auto combining relics up to a certain point in the process and then constantly consulting the in-game menu to find the correct components required to complete crafting my desired item. It took concentration and patience. Furthermore, it seemed disproportionately complex for the reward that was offered. I know of many players who simply bypass this entire process and choose to use under specified weapons rather than indulging in this tedious enterprise. Secondly, when playing The Elder Scrolls Online, I’ve encountered another variation of this problem. In this case it isn't a matter of being confused by learning new mechanics, but rather being overwhelmed by the wealth of choice. 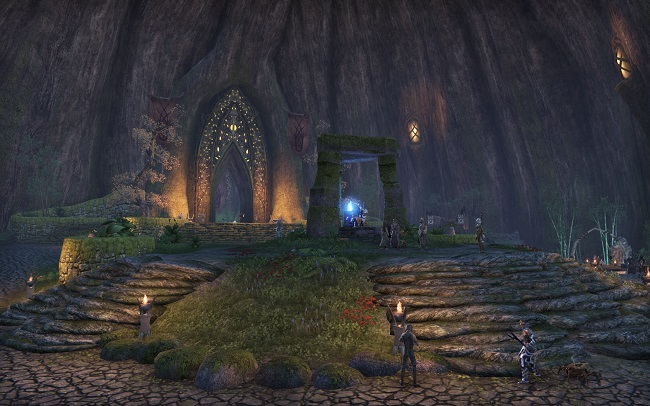 ESO purposefully doesn't funnel players from quest hub to quest hubs. Although it is not a true sandbox game, it is far more flexible in how the player proceeds through content. As you are travelling through a region dynamic content may appear or you may find yourself embroiled in other players activities. All of a sudden you can find yourself with multiple options. If you do not show some degree of self-discipline you will find yourself running around like a headless chicken. Also exploring such cities as Elden Root can be truly daunting, due to its vast size and rich detail. On occasions, I have been unable “to see the woods for the trees” and have had to ask a fellow player to literally guide me to a vendor, despite it being clearly marked on the map. Some folks are strong advocates of this style of "freedom" of content, but I now begin to understand why others may feel adrift without any imposed structure upon the gameplay. 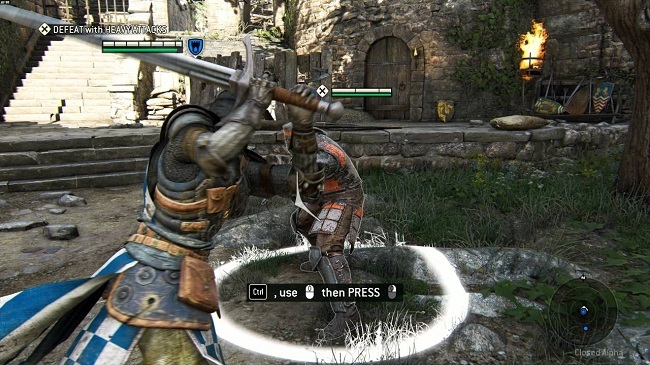 Finally, while playing through the tutorial of Assassin’s Creed: Odyssey I had an identical experience to that when I started playing For Honor. Both games provide a lesson in basic combat moves. Initially, these are straightforward, and it is not hard to combine them effectively. However, the next stage combines attacks with parries and blocks. A successful parry then triggers a riposte which usually does significantly more damage. However, I feel that there’s insufficient time provided in both of these two tutorials to master the techniques being taught. Often there is dialogue playing over the audio and visual cues. Having to concentrate on multiple streams of data can be confusing, resulting in either failure and the player simply relying on basic moves already learnt to complete the task. Because these tutorials are linked to cinematics you cannot simply replay the specific aspects that you’ve missed. You can either quit and restart the entire process, or simply muddle through and come out the other end none the wiser. The other alternative is to tab out of the game itself and seek advice and guidance online. Yet I have always felt that if a game can’t be bothered to “school” you adequately and you have to defer to third parties, it is a failure of the developers. Shouldn’t their product be the first port of call for any information regarding its usage? Some games thrive on complexity, while others are notoriously simple. Either way both game styles have a requirement to impart information to the player, be it via tutorials, on screen text boxes or voiceovers. This has to be done in an intuitive and user-friendly fashion or it will all end in tears. It is all too easy to sink under the volume of rules, skills and lore that you have to learn, especially with MMOs. There is simply too much information to assimilate at once and the flow and management of data needs to be skilfully handled. I appreciate that one’s tolerance to this situation is subjective and hinges on what sort of player you may be. I by my own admission am lazy and therefore do not warm to excessive learning curve, in what I see as a leisure activity. Other players find joy ploughing through spreadsheets and online wikis. Either way that information needs to be digestible and that is not always something that game developers succeed at. MMOs are an interesting microcosm of human interaction. Surely the clear and precise communication of instructions is equally as important to the genre as collaborative gameplay and engaging content? Can you have one without the other?